This entry was posted in music and tagged brass, INSTRUMENTS, Music, percussion, strings, woodwinds. Bookmark the permalink. This entry was posted in music and tagged bass clarinet, Buffet Crampon, clarinet, D'Addario, Legere Reeds LTD, Selmer Paris, Vandoren. Bookmark the permalink. This entry was posted in music, Uncategorized and tagged Generations Saxophone Quartet, Rick's Musical Instruments, saxophone. Bookmark the permalink. This entry was posted in music, Uncategorized and tagged Rick's Musical Instruments, saxophone, The Sultans of Sax. Bookmark the permalink. This entry was posted in music, Uncategorized and tagged Rick's Musical Instruments, saxophone, Vandoren. Bookmark the permalink. Meet JODY ESPINA at Saxophone Day! This entry was posted in music, Uncategorized and tagged Jody Espina, JodyJazz Clarinet & Saxophone Mouthpieces, Rick's Musical Instruments, saxophone. Bookmark the permalink. JIM ODGREN to be at Saxophone Day! This entry was posted in music, Uncategorized and tagged Berklee College of Music, Rick's Musical Instruments, saxophone. Bookmark the permalink. Saxophone Day is Getting Bigger! This entry was posted in music, Uncategorized and tagged Antigua Winds, Buffet Crampon, Buffet Group, Cannonball, Conn-Selmer, Jupiter, Keilwerth, Music, Rick's Musical Instruments, saxophone, Selmer, Vandoren. Bookmark the permalink. Coming this May… SAXOPHONE DAY! This entry was posted in music and tagged Antigua Winds, Buffet Crampon, Buffet Group, Cannonball, Conn-Selmer, Eastman Winds, Jim Odgren, Jody Espina, Jody Jazz Clarinet & Saxophone Mouthpieces, Jupiter, Keilwerth, Rick's Musical Instruments, saxophone, Selmer, The Sultans of Sax, Vandoren. Bookmark the permalink. 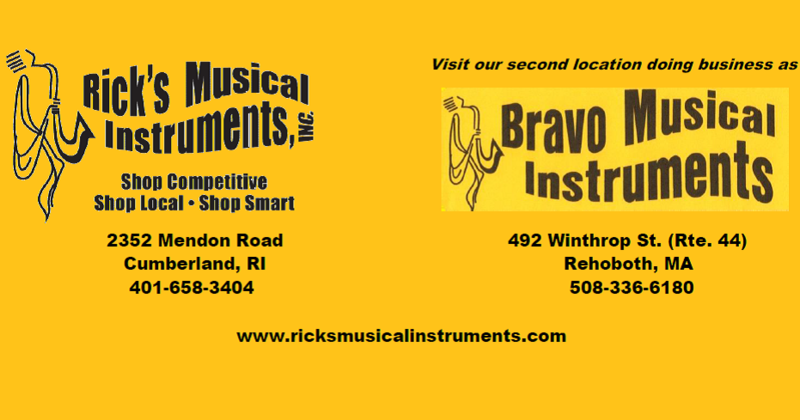 This entry was posted in music and tagged Cannonball, music lessons, Rick's Musical Instruments, saxophone. Bookmark the permalink.